Dow Honda | 2018 Honda Vehicles | What to Expect from the 2018 Fit! What to Expect from the 2018 Fit! The 2018 Fit is nearly here! This Honda is small, but mighty! It has made a name for itself over the years for its fuel efficiency, spacious interior, and ample cargo room. What should Fit fans expect with the new 2018 model? The 2018 Fit will be available in the DX, LX, LX Honda Sensing, Sport, Sport Honda Sensing, EX, and EX-L Navi trim levels. The interiors will feature either a black fabric or a black leather. The brand new colour option for the 2018 is the stunning Orange Fury, which is pictured above! Other colours include Crystal Black Pearl, White Orchid Pearl, Modern Steel Metallic, Milano Red, and Aegean Blue Metallic. Every trim level will be powered by a 1.5L, 16-valve, Direct Injection, DOHC, i-VTEC, 4-cylinder engine, with CVT or a 6-speed manual transmission. The 2018 Fit comes equipped with a large variety of standard features! This includes ECO Assist, HondaLink Assist, a rear window defroster, a 12 Volt power outlet, Bluetooth HandsFreeLink, a multi-angle rearview camera, and a second row of Magic Seats. The various trim levels will come with other Honda tech favourites, like the ECON button, LaneWatch blind spot display, the Honda Satellite-Linked Navigation System, and HondaLink! The Honda Sensing safety package is also available, which includes the Collision Mitigation Breaking System, Forward Collision Warning, Lane Departure Warning, and more! The 2018 Fit has some new exterior embellishments. The DX and LX trims all come with 15 inch wheels with full covers. The remaining trims sit on 16 inch alloy wheels; the Sport are all black, and the EX and EX-L NAVI’s are black and silver. 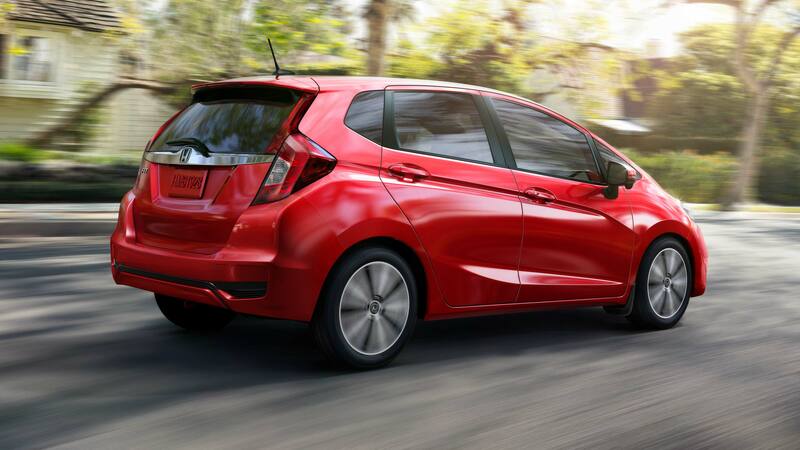 Around the Fit are front splash guards, a body-coloured rear roofline spoiler, and a power moonroof. 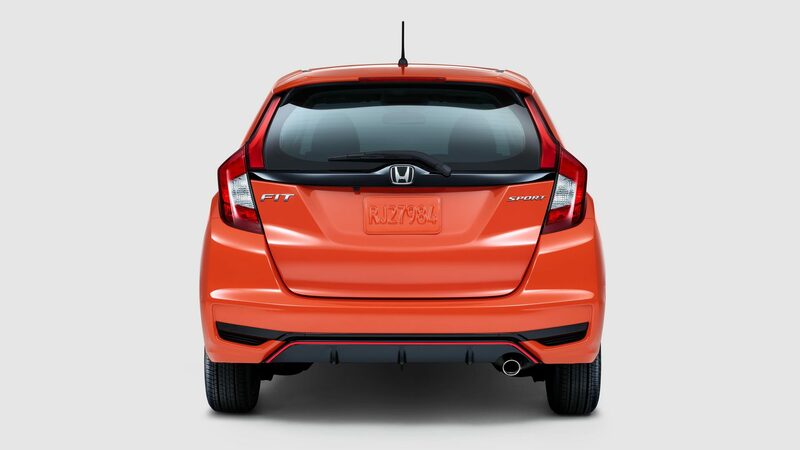 The Sport trim level goes a bit further with its style. It features a front lower spoiler, a rear exhaust finisher, a rear bumper diffuser, and side sill garnish. We will keep you updated on when the 2018 Fit arrives in our Showroom! If you have any questions, click here to to contact us!